Kubota Tractor Corporation, in partnership with the Farmer Veteran Coalition (FVC), now provides additional support for the non-profit’s farmer veteran members by offering customer rebates on select Kubota equipment. The discount program is an extension of Kubota’s existing partnership with FVC called “Geared to Give,” a program that works to identify and provide financial and equipment support to those who have served their country and are now serving their communities through food and farming. Michael O'Gorman, executive director of FVC, has had a long-term vision to extend partner discounts to its members and is proud to see Kubota leading the way. “Our members are able to accomplish so much more on their farms with a piece of Kubota equipment, and we are thrilled to continue working with Kubota to help further the opportunities for our members through the ‘Geared to Give’ program with tractor donations and now product discounts,” he said. To qualify for the discount program rebates, Kubota customers must be a veteran from any branch of the U.S. military and a member of the Farmer Veteran Coalition. 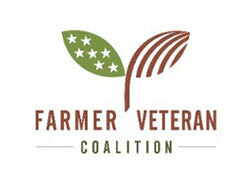 All veterans can apply for a free FVC membership on the organization’s website, www.farmvetco.org. Once a veteran applies for an FVC membership, if approved, they will receive a digital membership card directly from FVC. Kubota dealers are required to confirm FVC membership, which also verifies veteran status, at the time of purchase. While onsite at the dealership, customers can show their digital FVC membership card to confirm verification of their status and membership in real-time prior to the sales transaction. Customers can also print out the verification card from a home computer prior to their dealership visit. The discount program rebates will be honored at all 1,100 authorized-Kubota dealerships nationwide. Discount rebates range from $100 to $500 across various product lines, and is in addition to most current Kubota promotions. In addition to qualifying for product discounts, FVC members can apply to the Farmer Veteran Fellowship Fund in order to be considered for donated Kubota equipment through the “Geared to Give” program. The next application process will open in early 2019. Kubota has selected its Standard L-Series compact tractors for this program, as their versatility and efficiency are ideal for meeting the varying needs of many small- and medium-sized farming operations. For more information about the “Geared to Give” program, visit www.kubotacares.com. To learn more about FVC, visit www.farmvetco.org. For more information on product discounts and rebates, find a local Kubota dealer at KubotaUSA.com. Based in Davis, Calif., Farmer Veteran Coalition (FVC) mission is mobilizing veterans to feed America. FVC works to develop a new generation of farmers and food leaders, and expand viable employment and career opportunities through the collaboration of the farming and military communities. Through mentorship, peer support and career counseling, FVC supports veterans returning to or beginning careers in the food and farming industry. For more information, visit www.farmvetco.org.